Michael Douglas Scott was born in Fort Worth, Texas, where he attended nine different schools before graduating from high school. He served eight years active duty with the US Navy, leaving to attend the University of Oklahoma where he graduated Phi Beta Kappa with a Bachelor’s Degree in Anthropology with a minor focus on history. After a short time with graduate studies in the History of Science, Michael moved to Colorado, living or near in small mountain towns near Boulder. He and a few friends settled in a small community called Misfit Farm where they concentrated on self sufficiency, cutting and selling firewood, music, rock climbing and raising livestock. A serious car crash caused by a drunk driver ended life at Misfit Farm. Michael moved to Boulder, met his wife Barbara and life took another change with two children, now grown, a twenty year stint in the corporate world ending with his retirement from IBM in 2010. Michael and Barbara now live in a small town in southern Colorado with no stoplights and mainly dirt roads. 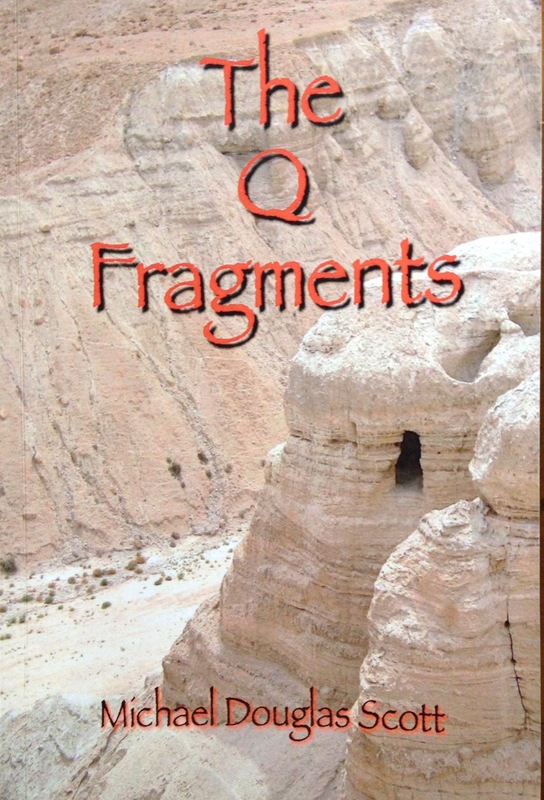 The Q Fragments is Michael’s first novel and the result of a nagging question concerning what we know about the earliest days of the Jesus movement, and how we know it. There are no actual primary sources for Jesus and his first followers. The earliest sources, which are actually copies of copies of copies, were written no sooner than forty or fifty years after Jesus’ death. And, not being the actual autographs, are rife with errors and inconsistencies. The genesis of The Q Fragments came when Michael imagined a primary source document being discovered, much like the Dead Sea Scrolls, written by a contemporary of Jesus. After more than three years of research into history, New Testament textual criticism and non-canonical writings, Michael cast the story in an historical novel telling the story through the conversations and actions of major characters in modern day and Judea two thousand years ago.